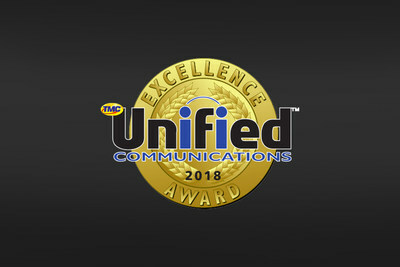 LOS ANGELES, April 2, 2019 /PRNewswire/ -- Broadvoice announced today that TMC, a global, integrated media company, has named b-hive as a recipient of the 2018 Unified Communications Excellence Award presented by TMC's INTERNET TELEPHONY magazine. "It's humbling that b-hive was recognized for the second year in a row by Internet Telephony magazine for providing exceptional unified communications experiences to our customers," said George Mitsopoulos, chief operating officer at Broadvoice. "We've created a flexible and affordable product that has enhanced business communications for small and medium businesses (SMBs)." b-hive is a cloud PBX platform that combines telephony and unified communications (UC) services into a comprehensive UCaaS bundle with voice, messaging and virtual call center solutions with SD-WAN. The platform's application servers run enterprise-grade UC software in geo-redundant data centers to create a secure hosted environment that simplifies customers' infrastructure by integrating traffic and performing PBX and other UC functions in the cloud. "Every year, I am amazed by the innovation and quality represented on the Unified Communications Excellence Award winners list. And I am so impressed with Broadvoice's commitment to addressing the real needs of the marketplace," said Rich Tehrani, CEO, TMC. "It's inspiring to see such commitment to excellence and I look forward to seeing future innovation from Broadvoice." In addition to TMC's Unified Communications Excellence Award, b-hive was also awarded TMC's 2018 Customer Experience Innovation award from CUSTOMER Magazine earlier this month. Broadvoice simplifies communications for small and medium businesses (SMBs) by combining powerful cloud PBX, UC and collaboration features with virtual call center in one award-winning Unified Communications as a Service (UCaaS) platform that delivers enterprise-class features at affordable rates. The platform is connected to Broadvoice's secure, redundant network and hosting infrastructure, enabling SMBs to connect with customers securely anytime, anywhere and with any device. Broadvoice is ranked in the Deloitte Technology Fast 500 and Inc. 500 Fastest Growing Private Companies in America. For more information about Broadvoice, please visit broadvoice.com. Through education, industry news, live events and social influence, global buyers rely on TMC's content-driven marketplaces to make purchase decisions and navigate markets. As a result, leading technology vendors turn to TMC for unparalleled branding, thought leadership and lead generation opportunities. Our in-person and online events deliver unmatched visibility and sales prospects for all percipients. Through our custom lead generation programs, we provide clients with an ongoing stream of leads that turn into sales opportunities and build databases. Additionally, we bolster brand reputations with the millions of impressions from display advertising on our news sites and newsletters. Making TMC a 360 degree marketing solution, we offer comprehensive event and road show management services and custom content creation with expertly ghost-crafted blogs, press releases, articles and marketing collateral to help with SEO, branding, and overall marketing efforts. For more information about TMC and to learn how we can help you reach your marketing goals, please visit www.tmcnet.com and follow us on Facebook, LinkedIn and Twitter, @tmcnet.